We discussed the Star's front page media coverage of our air pollution campaign and mentioned that local journalists were keen to cover local air pollution issues. National FoE sent an email to all local local members explaining what we have achieved. Sheffield Climate Alliance met with Sheffield City Council cabinet member Jack Scott, where measures to tackle air pollution were discussed, including 20 m.p.h. speed limits. 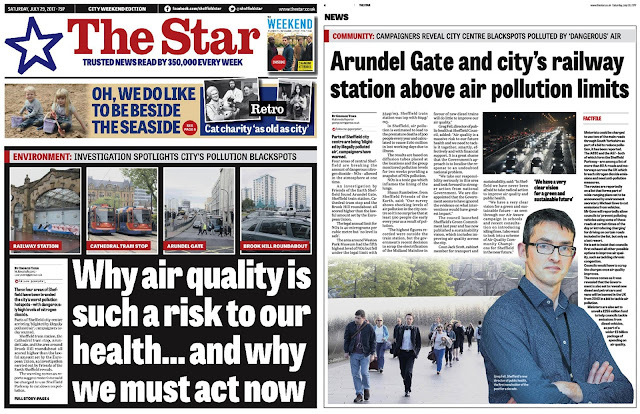 There are opportunities to do more with both council and local media. Beatrice reported back on a reply from Louise Haigh received in response to a letter (sent to all local MPs); no response yet from councillors in response to similar letter. 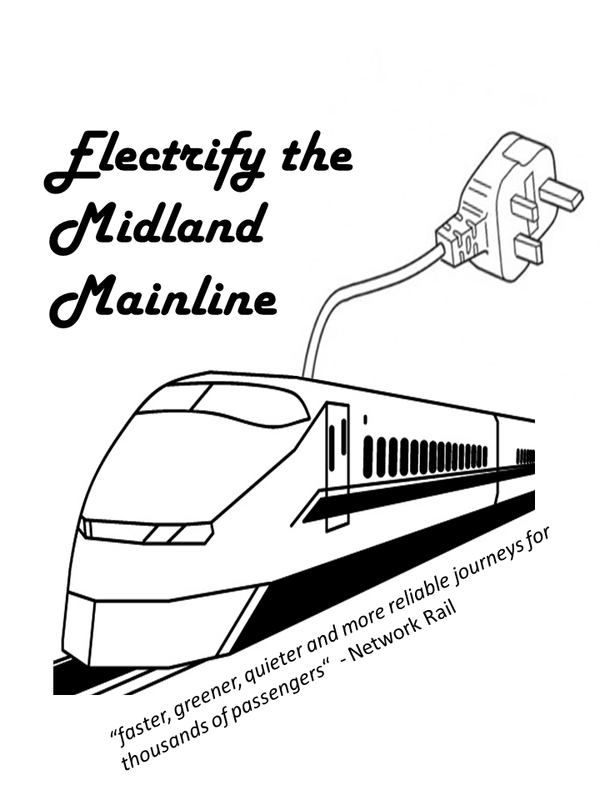 Their is a day of action planned for the Midland Mainline Campaign on Sat 9th Sep at 16:03 - 16:18 for handover of a “green plug” at the station. There will be media opportunities to get our message across. 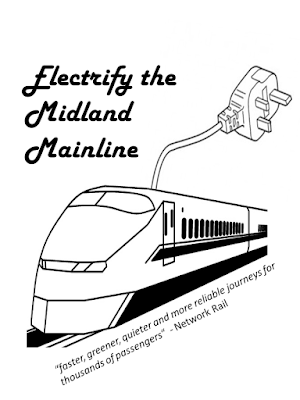 If anyone would like to get involved then please let us know or turn up to the station at 3.30 pm. It was mentioned that Sheffield East End project has done a lot of work on air pollution and we should invite them to join us. Laura's feedback on what solutions have been implemented in France to improve air quality has been deferred until the next meeting as laura was unable to attend. Other activities - Pollution levels being monitored by anti-fracking groups. Could also work with Neil Parry’s group and let them know what we are doing. Plan to meet at 15:30-15:45 at station on Saturday 9 Sept.
Laura to explain what actions have taken place in France to reduce air pollution.